Right so now I’ve hyped it up to the extreme, what is to follow will probably be a huge anticlimax. Some of you may have guessed it already. David and I have decided we’re ‘not not trying’ for baby number two! I took my last pill three weeks ago so as of now, anything could happen (or could have happened already!). We’re not on any kind of ‘schedule’ here (is there such a thing when trying to conceive? ), we’re just following the same approach as we did with Oliver – carry on as normal and see what happens! We’re looking at a minimum age gap of two years now (unless I’m pregnant already which is unlikely!) which I think is a nice gap… not too big, not too small (for us). Soooooo…. let the excitement and manic symptom spotting (yes I’m one of those!!) begin! Haha bet I tricked you all with this photo! 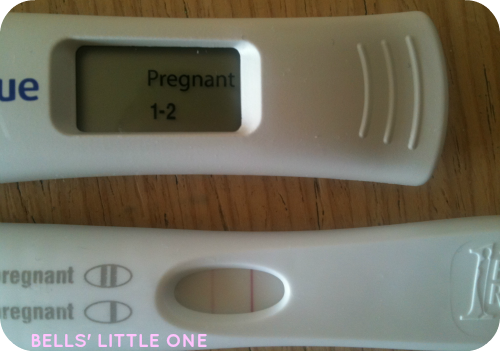 These are my very first EVER positive pregnancy tests from 2010. This little one would have been due 26th July 2011… just 2 months before Oliver was born.